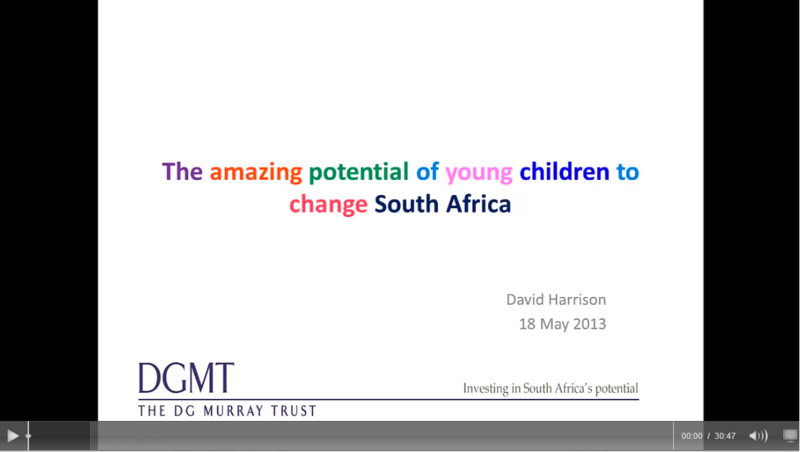 We have had various requests to share this presentation which illustrates that our strongest strategy to change the future of South Africa is by investing in and nurturing young children. Note that it is a Powerpoint presentation of approximately 30 minutes that has been converted into a video in order to include narration. If you have a slow internet connection you might have to wait a few minutes for the video to load fully.